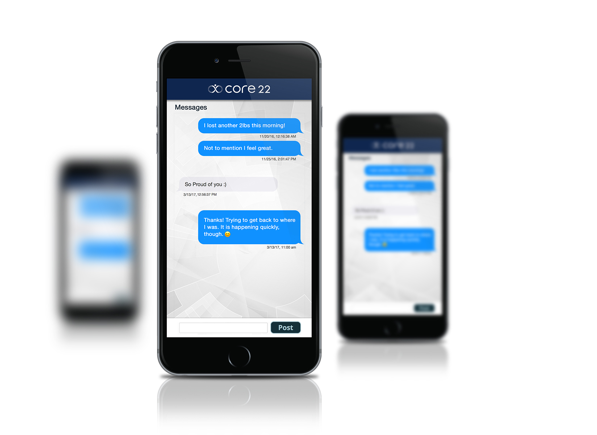 Core was born from a simple question that eventually formed the single greatest weight loss strategy ever conceived. 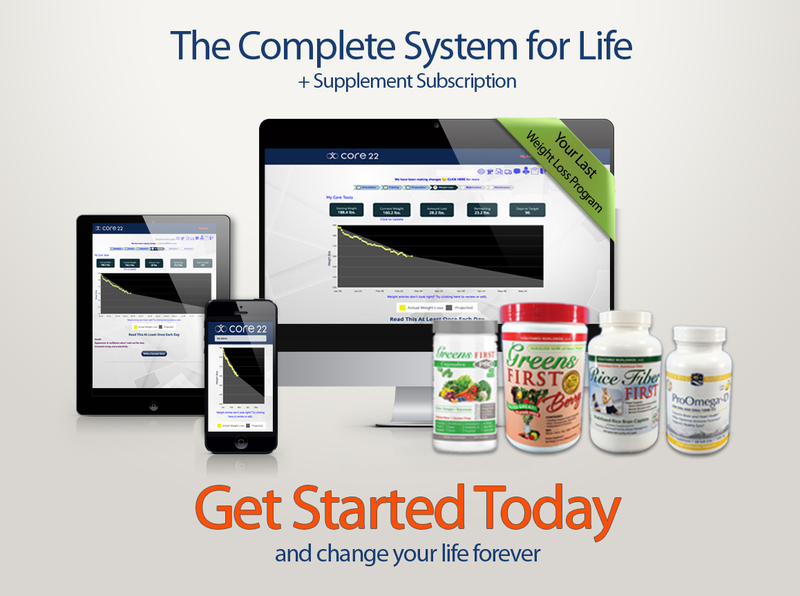 What would happen if you took all of the most effective, science-based, healthy, and proven weight loss techniques and applied them all at once? Well, the results were nothing short of amazing and allowed thousands of individuals from all walks of life regardless of medical conditions to lose more weight, faster than ever believed possible, while improving every measurable health marker. 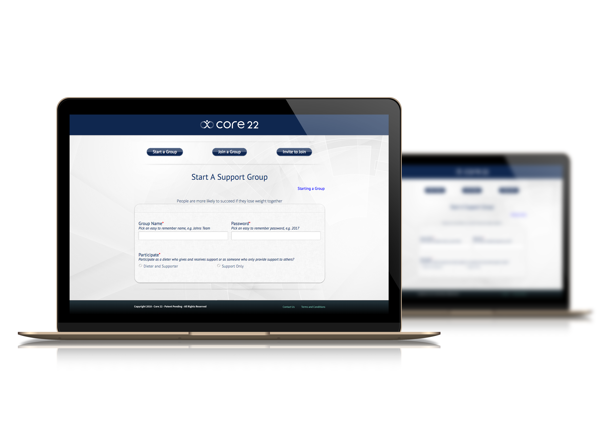 To help our members navigate this comprehensive protocol we created an online application that teaches you everything you need to know, provides vital personal feedback and support at critical times, and so much more. 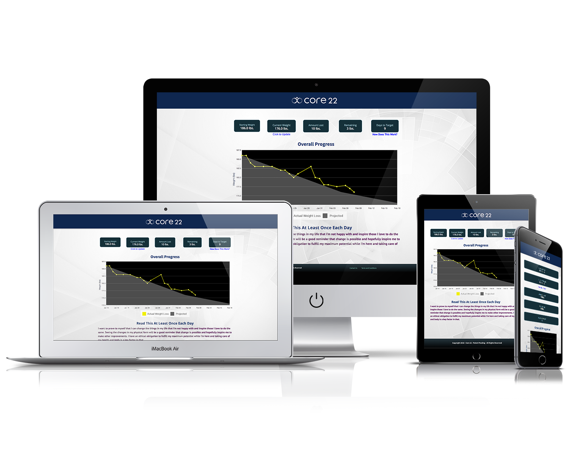 Access Core-22 from your desktop, tablet, or mobile devices so you never have to miss a day. Simply sign-in anywhere there is an internet connection and you'll be prompted to enter your weight and answer the feedback questions before viewing your overall progress. Have a question? Not losing weight? Curious if a food is Core-friendly? It's easy to communicate with your supporters and our coaches so you never have to feel like you're alone. Just open your program from any device and start typing. We will get you the answers you need. Learning the fundamentals of weight loss can be tedious, so we made it hands-free. Watch or listen to our videos on the go, while you're prepping food, or just relaxing. Users have access to an on-demand video library that explains each principle in great detail. 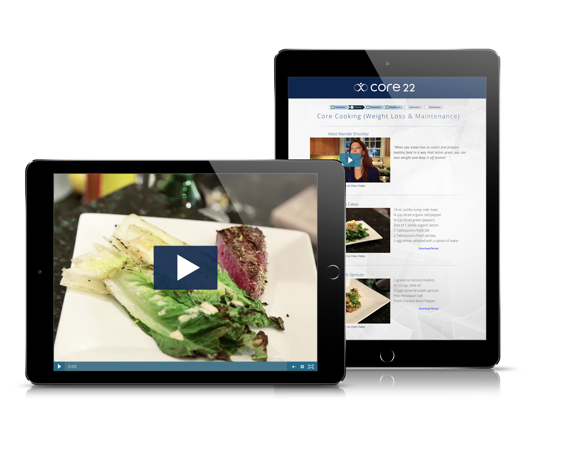 When you're ready to start cooking, check out our library of video recipes for delicious Core-approved meals. Groups make losing weight easier and much more enjoyable. Join a Core certified group or start your own. Once you experience rapid weight loss without the typical hunger, you'll want to tell everyone you know. That's why we encourage members to start with a friend or family member. We are Always Adding More Features! Shh! We are always working on the next iteration of our program to make the experience of losing weight and keeping it off even easier. 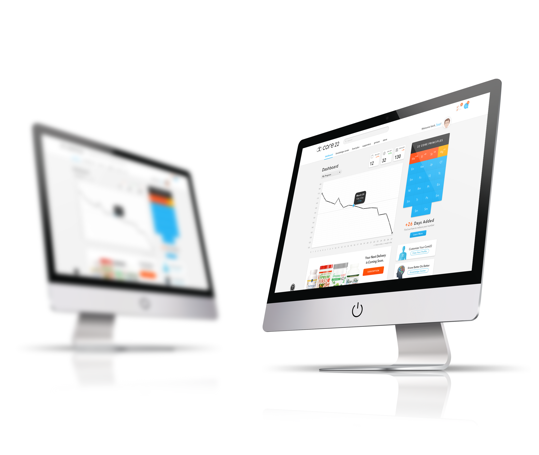 Restart the program, edit your weight entries, share a discount code with your followers, join our Facebook group, a sleek new interface, online store, and so much more. We are so excited!